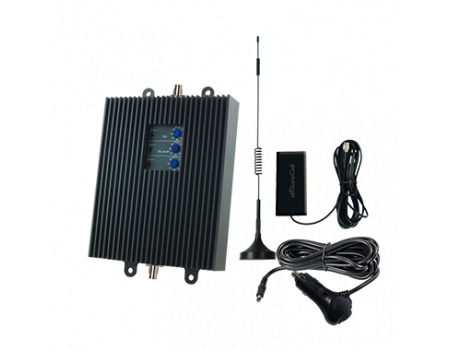 The SureCall TriFlex2Go-A mobile signal booster kit features a powerful 50 dB tri-band amplifier that will boost the Voice and 3G networks from all carriers and the 4G LTE networks from AT&T & US Cellular. The TriFlex2Go will improve call clarity, reduce dropped calls, and improve data speeds for multiple phones simultaneously. 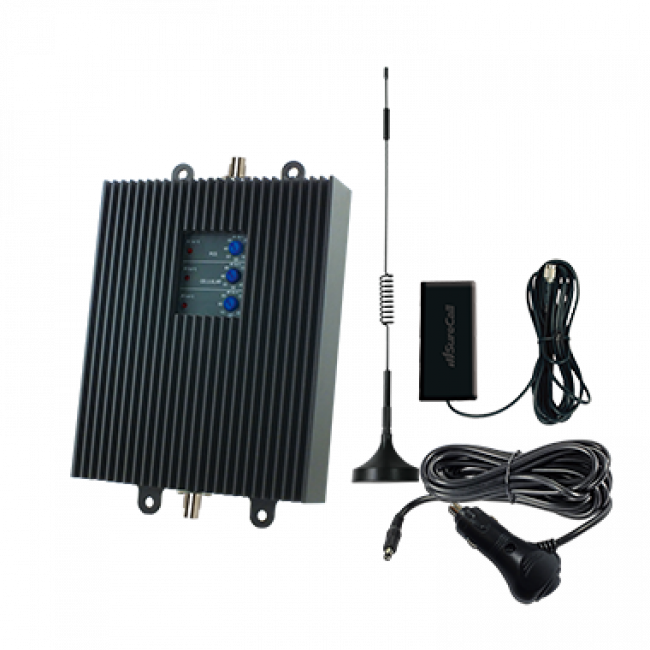 The SureCall TriFlex2Go-A for Voice, 3G and AT&T & US Cellular 4G LTE is a professional grade cell phone signal booster that features that fastest 4G LTE data rates and a 3 year manufacturer's warranty, the longest in the industry. 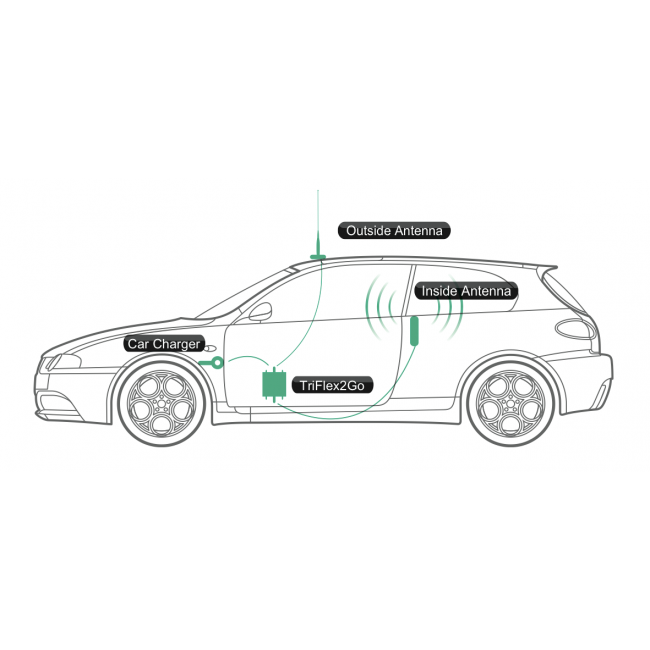 The TriFlex2Go is designed for Cars, Trucks, RVs, Boats, and other vehicles and features Automatic Gain Control (AGC), which allows the amplifier to continue boosting even while the outside signal strength is constantly changing. In addition to AGC, the TriFlex2Go also features manual gain control knobs allowing you to fine-tune the output power of the amplifier to work best in your vehicle. The rugged metal amplifier casing helps to dissipate heat while protecting the amplifier from bumps in the road and other objects in the vehicle.